This page provides links to sites that provide Genealogical research and Westray Island information. Please let me know if there are any problems with the links. Thank you! My page of Westray Charts! Westray Genealogy Forum Genealogy Message Board Forum. Submit a query or provide information for other researchers. Westray and Plumb Genealogy in the U.K. by John Westray in the U.K.
Saedron Research site of Westers and Westrays. Genealogy Site of descendants of William Solomon Wester by Bob McLane, Pat Andrews, and Edward McLane. Contact me and I will reach them for you. Wester Genealogy Genealogy research notes. Westray Rocky Strickland’s Genealogy data. From Tommy Strickland: As a point of interest I am including the transcript of a letter to my Grandmother from one of her schoolmates. It was written in 1892 while my grandmother was attending Stanhope Male & Female Academy in Stanhope, Nash county, NC. She would have been about 13 years old. There is mention of a Mattie Westray. I received your letter and was glad to hear from you. I am sick I may have the measles. I had the headache monday more than ever before. I do not know where I can come friday or not. tell Rosa she better have a desk with you. I know I rather have a desk with you than Mattie Westray. I saw him you know who the other day in the fourth reader class. cant he read well to not study it before? he looked round there and grinned. Ida tore up her doll cap. today is so beautiful. I want to got to school I dont think there is many girls if there is not enough to play baseball. I hope there will be more when they all get well of the measles. har any more got the measles than had it friday? I would be so glad to have you come to stay with me all night. I will close by saying write again to your loving schoolmate. Hildebrand Genealogy Forum Genealogy Message Board Forum. Penrod Genealogy Forum Genealogy Message Board Forum. Orkneyjar - The Heritage of the Orkney Islands by Sigurd Towrie. The Norsemen called them Orkneyjar, meaning Seal Islands. 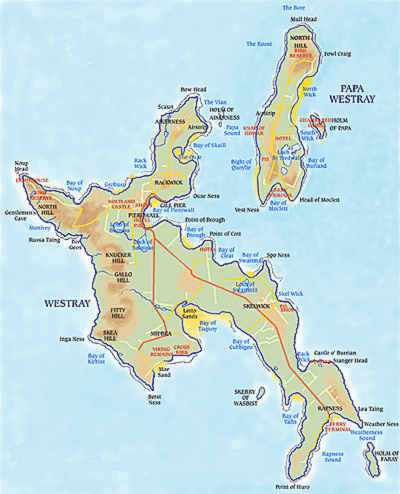 Westray meant West Island and Papa Westray meant Island of the Papar (Monks). Papa was the name the Norsemen used for the early Christian monks who appeared around 800AD. This site is a wealth of information about the Orkney islands. New link! 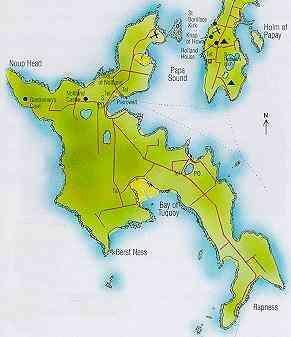 Orkney Island information and map. Great resource! The Westray Aerodrome Details of the World's smallest Airline. Servicing Westray and Papa Westray Islands. (Link is broken to http://www.ganet.co.uk/airfield/westray.htm). 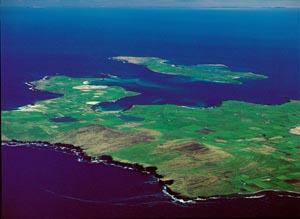 The Westray Islands are part of the Orkney's and (I am led to believe) the Orkney's are part of the Sinclair Clan. I have never seen anything that linked the Westray's directly to the Sinclair's, if anyone knows if there is or isn't a connection, please let me know. I thought there was even a Westray tartan plaid, but I was never certain. I found a site as a tribute to the Sinclair Clan. They have lots of information, but no answers to any possible connection. If you know what clan the Westray's are part of and if there is a plaid, let me know. I would like an image of it to post in this site. An important site to visit if you plan to visit, lots of local information! A COUPLE have been given thousands of pounds to turn a croft house into a faerie museum. Alicen Weddes-Ward calls herself a faerie priestess, while husband Neil is a pagan and artist. The couple have moved to the Orkney island of Westray, where they plan to create Britain's first museum for the tiny beings. And they've been given £4000 by local enterprise chiefs and £300 from the council for the venture They are renovating the old croft house next door to their home at Skelwick. Both are regarded as experts on faeries and say Orkney is a hotspot of 'other worldly things'. The museum and gallery will feature art by Neil, sculptures, 3D displays, storytelling and a pixie house for children. Alicen has been a faerie priestess for 15 years and the couple are publishing a book this month, called Faeriecraft. It will describe how to contact faerie kings and queens and take the first steps to becoming a priest or priestess. The mother-of-two said: 'The book says anyone can make friends with the faeries. 'It is not a mysterious thing that you need to learn from a guru. Anybody can do it. Neil, 40, said: 'Alicen has seen them and she has learnt that faeries are part of this world even though we might not see them. The couple, who moved to Orkney last September from Buckinghamshire, say they've been delighted by the local support and have had just one letter of opposition to the museum. ONE of Scotland’s windiest islands is to use its chief natural resource to help power a new taxi service for its elderly and disabled residents. An electric car, which will transform the lives of local people without transport, will be powered by four small windmills on the Orkney island of Westray. The pollution-free vehicle will be used to transport disabled people around the island, which has a population of 563. The battery can be charged up at various plug-in points along the island. Although free to disabled users, other islanders will have to pay a small hire charge to cover insurance costs. 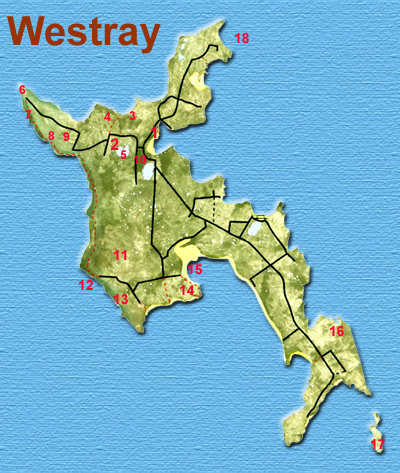 The Westray Electric Car and Windmill project is the idea of William McEwen, a joint chairman of the Westray Development Trust. He secured £71,500 from the ScottishPower Green Energy Trust and the Scottish Energy Efficiency Office to buy the car and carry out the electrical conversion. Under the project, three new turbines will also be installed on the island. Colin Risbridger, the renewables engineer with the Westray Development Trust, said: "The car will be available to everyone, it has no fuel costs, is converted for wheelchair access and has no engine noise." Claire Doherty, the secretary of the ScottishPower Green Energy Trust, said the car will not only improve life for many people living on the island, but it will help to make Westray the first community in the UK to become entirely self-sufficient through renewable means. Jim Wallace, the MSP for Orkney and minister with responsibility for renewable energy, welcomed the new project. He said: "Not only does it highlight the opportunities for applications of green energy, it will also bring tangible benefits to both residents, visitors, and not least those with disabilities." Orkney Sports - City officials in the Scottish Islands of Orkney may be putting a stop to a popular recreational activity. An ancient Viking game called Ba' first started as a mad scramble for the severed head of an enemy warrior. Now, the inhabitants of Kirkwall, the islands' capital, get together for a game to celebrate the New Year. But an increase in cracked ribs, dislocated fingers and broken noses is also causing a rise in personal injury claims, and threatening the future of the sport. Council says the council must protect itself from the growing American-influenced "compensation culture". Coal mining has been an integral part of Pictou County history since the first commercial mine opened in Stellarton in 1807, to the closing of the Drummond mine in Westville in 1974. On September 11,1991 Westray opened a new mine in Plymouth, Nova Scotia, Canada, employing the latest in mining technology. On May 9,1992 after only 8 months of operation, a horrendous explosion ripped through the mine killing 26 men who were underground at the time. An heroic and exhausting attempt was made by the Draggermen, resulting in 15 bodies being recovered, while 11 still remain underground. The Westray Families Group (a non-profit organization) was formed soon after the explosion to provide support to the families of the men killed in the Westray Disaster. In 1993, the Families Group erected a memorial to the late miners in Parkdale on a section of land in the approximate location of the underground explosion. The Monument and Park is solely maintained by donations and volunteers. Westray Engineering in Sydney, Australia. Virginia Westray Custom Bookbinding in Santa Fe, New Mexico. Westray Recruitment Consultants Employment search in the U.K.
"Westray" CD - Jeff Hennessy. (was born June 13, 1970 and grew up in Columbia, South Carolina.). He is currently the Assistant Professor of Jazz Studies at The University of Texas at Austin. 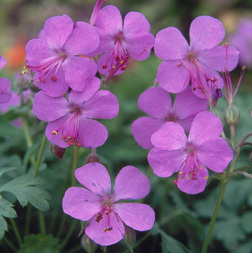 Geranium x cantabrigiense 'Westray' Image. An Alan Bremner hybrid named in honor of his father who came from the Orkney Island Westray. 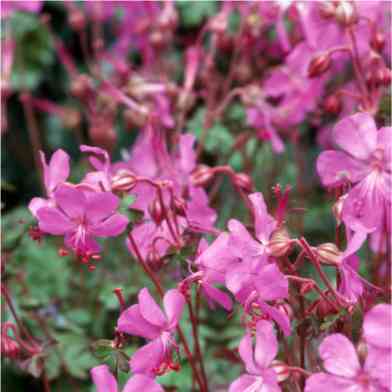 Mid green leaves, slightly glossy, with good autumn color; flower buds red; large flowers of strong, clear pink; profuse bloom. 8x15" Z. unknown (Sp. and Fa.) Dark Rose-Pink Flowers in June to August. Spreads to 2-3ft. Good Ground Cover Plant. Sites with more information can be found at Cranesbill Nursery and Kernock. Another image from Kernock. 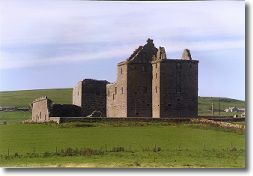 Notland Castle on Westray Island. How to find it?